Ministry of Social Development, Bhaktapur Hospital, Province No. 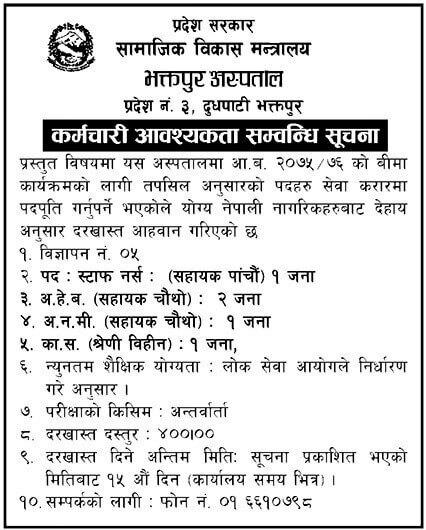 3, Dudhpati, Bhaktapur announced vacancy for various positions. Minimum Academic Qualification: As per Lok Sewa Aayog rule. Application deadline: Within 15 days from this vacancy published within office hour.